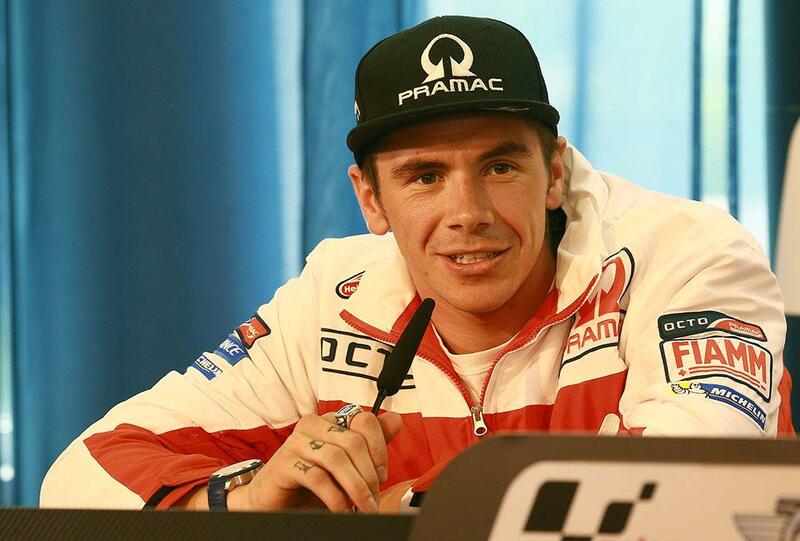 Pramac Ducati rider Scott Redding says he’s won an important psychological advantage over his fellow Ducati riders before a wheel has even been turned in anger at this weekend’s German round of the MotoGP championship. Speaking ahead of tomorrow’s first day of practice, he told MCN that that by admitting that they believe the Sachsenring circuit will not suit their bikes, the factory pairing of Andrea Iannone and Andrea Dovizioso have already conceded an advantage to him. “I know already that they’re expecting bad things – but for me it can only be better after last year! Maybe they think it’ll be difficult because the bike is harder to change direction, but I have more strength than them that I can use to my advantage. And with heavy rain forecast for much of the weekend, Redding may well be in line to repeat his podium success from last time out in Assen – even if he’s planning on taking the weekend as it comes.